SDMO® Industries established in 1966, based in Brest, Brittany is now the leader in France and one of the largest manufacturers worldwide of generating sets. The company designs, manufacturers and markets a range of standard generators from 1 to 4200Kva to meet all power needs and to suit all applications. The company has grown and developed through its philosophy that strives for product improvement and innovation. For more details please visit www.KOHLERSDMO.COM. KOHLER® Co, Kohler, Wisconsin, U.S.A. The merger between SDMO® Industries and the American company KOHLER® Co. (and more particularly KOHLER Global Power Systems, the American group’s Energy Division) in December 2005 created one of the largest players worldwide in the generator market. Committed to a process of continuous progress, KOHLER-SDMO has drawn on the benefit of this partnership of excellence. Through its solid structure as an international group, KOHLER-SDMO is able to penetrate new markets and ensure its continuing development. KOHLER® Co founded in 1873 and headquarters in Kohler, Wisconsin. KOHLER® Co is one of America's oldest and largest privately held companies comprised of nearly 37,000 associates. With more than 50 manufacturing locations worldwide, KOHLER® Co is a global leader in the manufacturer of engines and power systems, kitchen and bath products, premier furniture, cabinetry and tile and owner/operator of two of the world's finest five-star hospitality and golf resort destinations in Kohler, Wisconsin, U.S.A. and St. Andrews, Scotland. Kohler's Whistling Straits golf course will host the 2020 Ryder Cup. For more details, please visit www.KOHLER.COM. 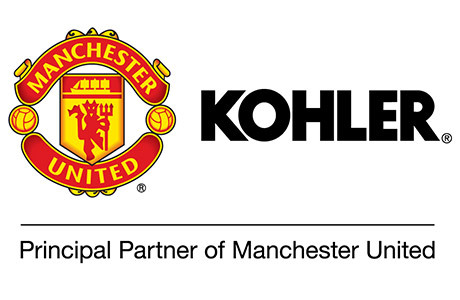 For more details please Visit www.KOHLERUNITED.COM. KOHLER-SDMO, Hook, Hampshire & Middlewich, Cheshire, U.K.
SDMO Energy Limited, trading as KOHLER-SDMO is the wholly owned sales and marketing subsidiary of SDMO® Industries. Established in 1991, SDMO Energy Limited, the Projects Division based in Hook, Hampshire design and market a range of industrial generator and power solutions from 800Kva to 4200Kva. The Standard Products Division & Spare Parts, based in Middlewich, Cheshire markets a range of gensets from 1.25Kva to 800Kva, Welding Sets, Water pumps, Gas generator sets, Diesel generator sets, Residential Generating Sets, Control panel, industrial water pumps, Rental Generators and Power Take Off Alternators (PTO). KOHLER SDMO offers Full Generator Training and Technical Support on all our Portable power generators, Power products, welding sets, waterpumps and Rental Power to our network of approved Distributors. After Sales advice on all aspects of generating set maintenance, diesel generator maintenance and welding set maintenance is given On-Site or over the telephone. The dedication of KOHLER-SDMO’s Service Department optimizes the performance of installations and guarantees safety for all involved. For more information please email:- service@sdmo.co.uk. The Management and staff are qualified and experienced in the UK power generating sets and a network of approved Distributors has been appointed around the UK and Ireland. Today electricity is the life blood of a modern economy and without it business, commence, industry and even life itself is threatened. It is therefore essential that consumers of green power & power whoever they are, need to have a reliable source of electricity that is backed up in the event of failure. Factories, offices, computer centres, hospitals, super stores, defense establishments, communication headquarters, airports, farms and utilities all have standby power & industrial generator installed to protect their complex operations against power outages that inevitably occur at some time. Telephone:- 01606 838120 for Standard Products and Spare Parts.